Kanchenjunga Region is also known as "Five among fortune places of snows". It is likewise the third most elevated mountain on the world remaining as less investigated and the least known. The Kanchenjunga Circuit Trekking package has been intended for the explorers searching for genuine difficulties in the less voyage area situated in the Eastern Nepal the border of Nepal and Sikkim. In Kanchenjunga trek, you will go through the grand Himalayas and cascades, bushes of rhododendron and other highland forests. Likewise, you can appreciate the friendliness of various ethnic groups, and experience different flora and fauna. 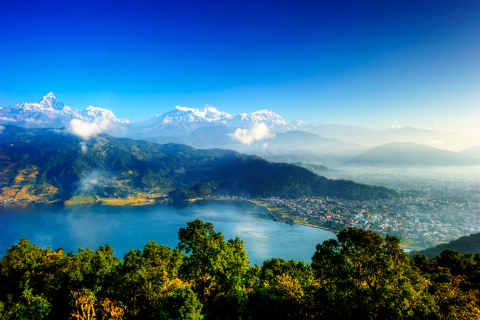 This Kanchenjunga region, the thrilling spot of Nepal, is announced as the gift of the Earth brimming with snowcapped prairies, rough outcrops, thick mild, sub-tropical forests and low river valley. Kanchenjunga trail begins from Kathmandu and the nearest road and Airports are likewise long from the mountains. Our long trek begins from the seriously developed slopes of the Nepal Midlands, which is populated by the Rai and Limbu clans, towards the peaks of Jannu and Khabru and the incredible mass of Kumbakarna, Kanchenjunga, and Rathong, passing in transit through the absolute best high mountain view. The must-see spot of this trek is Kanchenjunga Conservation Area spreading in a territory of 2,035 SQ Km which is the primary fascination of trail. The region has a rich assorted variety of natural life including snow panther, Himalayan mountain bear, musk deer red panda, Impheyan, bird, red-charged blue jaybirds, bashful drongo, etc. It offers an interminable assortment of scenes, societies, all-encompassing perspectives on four world most noteworthy Himalayas like Everest, Lhotse, Makalu, and Kanchenjunga, which makes the trek worthy. The restricted area Kanchenjunga region trekking offers the trekkers the opportunity to investigate the virgin upland wild, which offers a most excellent and differentiating assortment of view. With the variety of their customs and conventions, the general population of the region are co-operative and friendly just as their way of life is additionally straightforward as they are not influenced by the modernity. The village will in general be more prosperous than somewhere else in Nepal, yet further you go the more isolated communities will be acquainted with you. An easy way to make companions is to join local people for an endearing beverage of hot Tongba, the aged millet drink of the East. Rich farmland and lush valleys give way, higher up to amazing mountain landscape, which incorporates close-up perspectives on Kanchenjunga Base Camp and far off displays of the mountains of the Khumbu. Religious communities, Chortens, sanctuaries, petition dividers are the representation of this region. Following the trekking course, blue sheep are for the most part found here, and it is believed that the detestable snowman 'YETI' exists in the area. With these highlights, Kanchenjunga trekking has been the most prevalent trekking among the outsiders and a standout amongst the most requested trekking package. On the off chance that you at any point needed to test your backbone, wild Kanchenjunga is the spot to start. The rest will be history. Our Speedy Tourism and Travel member will meet you at the airport and exchange to your inn. As you spruce up after your long voyage, you will be approached to visit our office for instruction on your program. You will have a gathering with your trekking guide and talk about the equipment required for the trekking and we will process for the trekking permits. If you arrive around evening time, we will have a similar discussion in the next day morning. The exceptionally next morning, after breakfast you will be taken for an entire day touring visit around Kathmandu valley. You can visit the focal point of pilgrimage Pashupatinath Temple and Swyambhunath, exceptionally ancient and basically enrolled in UNESCO World Heritage sites. 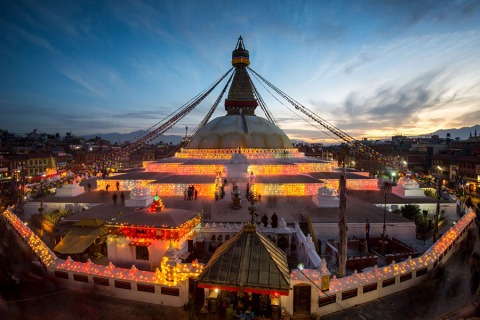 The greatest Buddhist Stupa at Boudhanath may make you feel quiet and harmony and visit Patan the city of expressive arts and Durbar Square is brimming with Hindu sanctuaries and Buddhist landmarks. On an adventure back to the lodging, you can investigate the neighborhoods and way of life. After your supper, you can maybe go for a relaxed walk through the well-known streets like Thamel and Durbarmarg. Today we take a flight to Biratnagar of around 30-40 min. Biratnagar is an industrial city in the marshes of Eastern Nepal. From here we take a drive to Hille seeing all around the fabulous landscapes of lowlands. 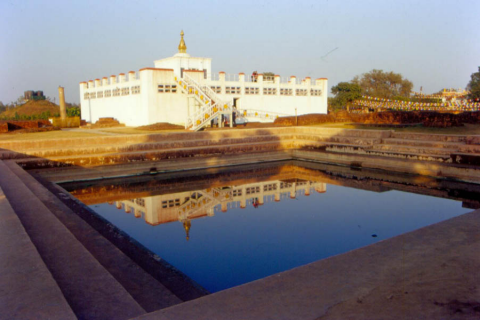 Hille is a Tibetan settlement valley which would be our first place for medium-term camping. We will have breakfast and make an early trek to Buranse Danda, towards the Tamur River along an edge. At the highest point of this edge, we touch base at Shidua. Here we camp throughout the evening. After our breakfast today we'll trek through a forest area to Chitre, watching the nearby natural life along the course. The perspectives on Mt. Makalu (8476m) and Chumling territory the principle features along the trail. The trail scales through overgrown rhododendron forests, with great perspectives over the valleys of Arun Koshi and Tamur Koshi to the villa of Door Pani 2780m. Camping during the evening. After delicate move through more rhododendron forests to a mountain edge Milke Danda and we drop down to the village of Tongise Phedi. The trail proceeds through entirely green fields with perspectives on blanketed mountains range and Mt. Makalu in a constant view. Soon the Kanchenjunga range appears, and we come to Mongol Bharai pass, fixed with Mani stones. The trail plunges here and there before achieving two little lakes at Lamo Pokhari and another gathering of mountain pools at Gupa Pokhari for our camp. This is our long day trail. Pursue the trail tough from Milke Danda edge to a second edge running upper east towards the Tamur koshi. Appreciate the shade of rhododendron until Akhar Deurali (3200m), and after that finish an undulating way blended deciduous woodlands to Gurja Gaon, 2000m for lunch. The latter piece of the day is long and time tedious, plunge through a cultivated country to the village of Chatrapati lastly descends through a rough trail to Nesum (1620m) and set up camp throughout the evening. Underneath Nesum, the trail proceeds to descend to the Tamur Koshi, crisscrossing down past dissipated homesteads to a suspension bridge over the small stream. Show your permit for the inspection and cross Doban (640m), after three hrs. leaving Nesum. At Doban, you cross the Tamur Koshi and make the progression, testing climb to Taplejung. This is the focal center of this region and furthermore a helpful leave course for any ill. Pursue the east bank of Tamur as the trail plunges and ascends along the riverside, striking rough fields and avalanches to a valley populated by the Limbus people groups, the relatives of the Kirati warriors who ruled Nepal at the beginning of Nepalese history. The valley limits and drops to a wooden extension over the Thiwa Khola at 1140m, at that point wind all over along the riverbank of Chirwa. We camp close Chirwa, a charming bazaar with a couple of tea houses and shops. Walk north along the east bank of the Tamur River on a moving trail to the Chhetri town Tapethok (1320m). This is a Kanchenjunga National Park checkpoint. From here cross the Simbuwa Khola, a river formed by the Yalong Glacier, along with the Tamur to the Walunchung gola (3220m). Drop down to the Tamur and cross on another suspension connect, simply over the conjunction with the Ghunsa Khola. It's a short stroll along the lofty to a riverside campground close to the Tibetan town of Sakathum. Begin the limited trail that breezes along the north bank. After a few ups and downs beside to the river, you'll achieve some stone advances that scramble high over the stream to a cascade and the small villa of Ghaiyabari (2150m). Another move from the crevasse base goes by Solima. The trail goes along the gorge, consequently, be cautious while strolling. At that point following the tough and downhill precarious preliminary, we finish up the present furious voyage at Tibetan settlement Amjilossa. This is generally brief day keeps on moving along the Ghunsa valley. You'll unquestionably feel the mountains are drawing nearer as you move to a level edge and wind through a forest of bamboo, Rhododendron and, passing dispersed fields and cascades. We climb steeply to Kyapart, roosted amidst terraced slopes about 350m up from the Ghunsa Khola. The trail starts a crushing move to the Sherpa town of Gyabla or additionally called Kyapar. The day starts with multi-day soak drop into a gorge, trailed by a simple dimension arrange through fir and rhododendron forests along the riverbank. It takes all mornings to trek to the yak fields and potato fields of Phole (3210m). Above Phole, the valley augments and the trail improve through fields and larch forests, dipping down to the riverbed before the intersection to Ghunsa Khola and intersection an extension to the town of Ghunsa medium-term camp there. Traveling north from Ghunsa, the trail makes a continuous rising through forests of larch and juniper along the east bank of the river. In the wake of the intersection, a sandy, rock-strewn floodplain, the way crosses a broken-down, wood and stone scaffold toward the west side of the stream at Rambuk Kharka (3720m). We glimpse the Jannu Glacier, later we get a perspective on Jannu (7710m) we drop the mountainside to our camp at Khambachen and medium-term remaining there. Above Khambachen, the trail proceeds with a scene gouged by the frosty fingers of glaciers. The trek climbs steadily over the inclines of avalanches to pasture zone Ram tang (4350m). The trail keeps running along the horizontal moraine of Kanchenjunga Glacier, following the north bank of the stream and traverse to the Lhonak Glacier. On the east side of the valley is the crown molded Merra Peak (6344m). We land at our campground at Lhonak. The town of Lhonak sits adjacent to a wide, frequently dry lakebed, on an open, sandy plain. To reach Pangpema, we rise through bit by bit over the plain and pursue the line of the moraine. The steadiest trail climbs onto the edge before dropping to a couple of desolate looking huts at Pangpema. We will have brilliant perspectives on the transcending peak of Kanchenjunga today. The perspectives are regularly fresh and clear in the early morning to climb up the edge north of Pangpema for the sort of view that motivate religions. From a vantage point about 300m up the slant, you will have a display of Kanchenjunga, Taple Shikar and Gimmigela Chuli. We connect to the Kanchenjunga south treks by intersection the Mirgin La (4663m) and the Lapsang La pass (5160m) contingent upon the climate conditions where both are of the extreme kind. We will have a rest today to gain ground from the works of the earlier day. Have an excellent look around the pass of the fantastic snowcapped mountains and edges. It takes around seven hours Trek to Ramche. The view is brilliant as you rise past the nose of the Yalong Glacier and into a progression of removal valleys. Investigate around South base camp. Particularly noteworthy is the east piece of Kumbakarna Glacier. A generally brief day stroll to Tseram. The view is glorious as we drop past the nose of the Yalong Glacier and into a progression of removal valleys. A solidified lake, perfectly clear streams and perspectives on Kokthan, Rathong, and Khabru are the features of this walk. We will have a brilliant perspective on the Kanchenjunga south face from a chorten at about 4500m. We slip later to Tseram for our overnight camp. Soon after Tseram, the transcending statures of Khabru and Rathong peep over the moraine. The trail is genuinely downhill and as the day advances, the trees wind up sparser and increasingly hindered, giving us looks at the snow-topped monsters ahead and of the monstrous nose of the Yalong Glacier. We relentlessly slide through the forests of blended rhododendron and pine to Torontham. A lofty rising brings us down into the valley of the Simbuwa Khola in the wake of intersection an intriguing wooden extension. We climb over some genuinely steep and uncovered slants after reappearing the forest. We go through Lamite Bhanjyang (3410m) and Amji Khola rising to a go at Dhupi Bhanjyang (2540m). The way crisscrosses down through the fields of corn and grain. Reach Yamphudin crossing the edge at 1690m. Yamphudin is a blended network of Sherpas, Limbus, Rais and Gurungs and the primary genuine town since Ghunsa. Following day, we cross the Kabeli Khola. Climb rough precipices on the rubble of past avalanches. Crossing on a delicate looking bridge, get down to the edge. Going through the specked place of Pauwa of Mamanke (1780m) keep on climbing rice porches up to Phumphe. We move to an edge and plummet through an arrangement of side valleys past Phung village to Kesawa. The trail keeps on climbing to a Gurung settlement at Bhanjyang (pass). From here the trail crosses an edge and dives to the Limbu town of Khunjari. We camp underneath on the banks of Phawa Khola at 1430m. We plummet from Phawa Khola to Taplejung for our medium-term remain. Today would be the last day of our trek. Appreciate the nearby traditions and conventions at night. We fly back to Kathmandu by means of Biratnagar. At the night you can have your last night in Nepal getting a charge out of the Nepali cultural dinner, taking some lovely snaps and deciding for the returning voyage. (Or on the other hand, you may remain longer for short visits, for example, drives at National parks, boating, Tibet visits, mountain flight and so on). An immense scope of Western, European and Nepali food offers you extremely flavorful taste all around in a city. You can have welcome trading among companions and get a few trinkets. Today is free or a minute ago you have few hours uncommon looking for your friends or relatives. If you have additional time you can do some shopping or sightseeing. We will drop you to the International Airport to get your trip back to your home and wish for your Safe journey. Best Travel Time: Mid Sept to Dec, March to May are the best season for this trek. Accommodation: Hotel in Kathmandu & Tented Camp while in the trekking.